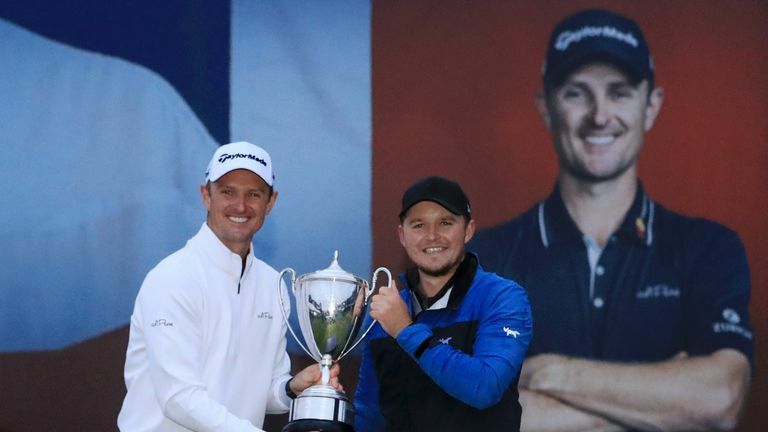 Eddie Pepperell is targeting a debut appearance at the US Masters and a place in the 2020 Ryder Cup team following his two-shot win at the Sky Sports British Masters. 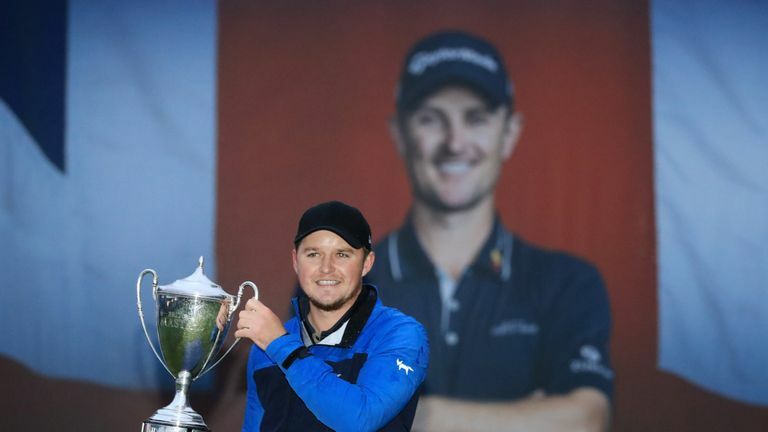 The 27-year-old followed up his win at the Qatar Masters with a wire-to-wire performance in difficult conditions at Walton Heath to move up to seventh in the Race to Dubai standings. 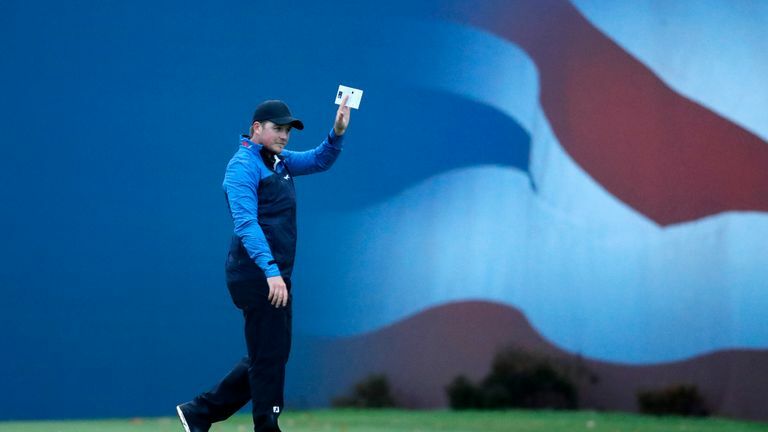 His rise to world No 33 also means he is almost certainly guaranteed a place at Augusta next year and although he says he does not set himself goals, he would love to be a part of the next Ryder Cup at Whistling Straits. "This year would have been premature for me," he told Sky Sports News. "But certainly in 2020. "Mentally, I was ready for it this year but whether my game was there I don't know, but come 2020 I hope to be a qualified member of that team. "Whistling Straits will be a spectacular venue and it would be great to play a Ryder Cup in America. It doesn't get much tougher than that. That would be a reasonable target." With a top-10 finish in The Open also in the bag this season, the laid-back Englishman is starting to face questions about what he might achieve in the coming years, but he insists he does not set long-term goals for himself. "This year has shown me, which I am pleased about because I was worried that I was becoming a little bit apathetic and to a degree even nihilistic with certain things, that as my performances have got better and my levels have improved, that is what has motivated me to do it more and more. "All I care about is being a brilliant golfer and I woke up this morning feeling proud that I feel like I'm becoming a really good golfer." Pepperell admits he did not play as well as he wanted at Walton Heath, but was proud of his attitude throughout the weekend. "I just told myself if I'm not going to play great - which I didn't - then I had to be ready to battle and that meant having a great attitude and sticking in for four hours," he said. "It's sometimes easy not to do that on tour because when you've had some relative success like I've had, it can sometimes be easy to have a 'let it be' attitude, but yesterday I took it on, I tried to grab it by the throat. "I didn't feel like I swung the club that well this week, I certainly didn't at the Dunhill, so I'm going to focus in the next week before China on fixing that and getting a couple of swing feels back."